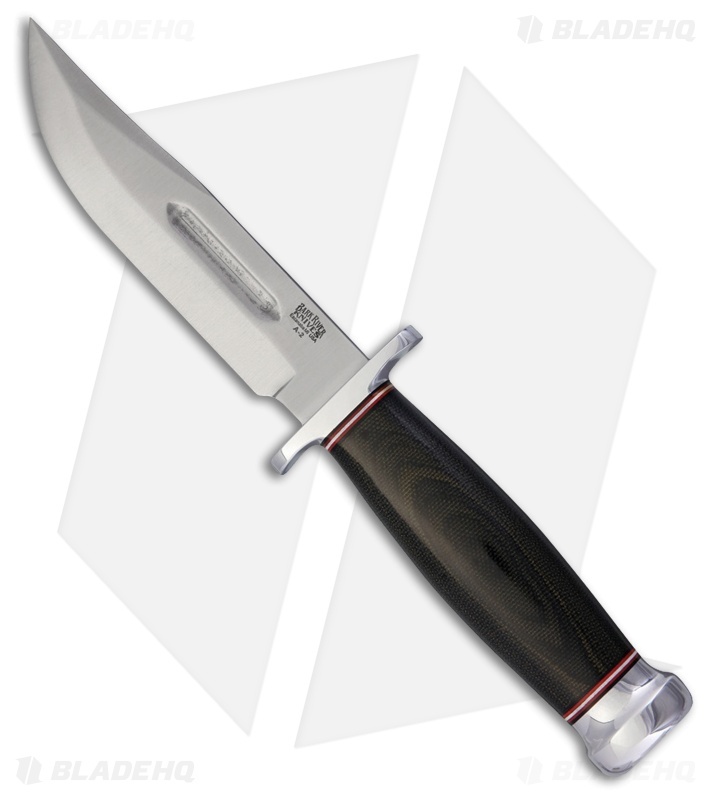 The Boone by Bark River fixed blade knife features a 5" A2 clip point blade, excellent for processing medium to large game. The comfortable black canvas micarta handle fits well in the hand while nickel silver finger guard and mushroom end caps add an additional layer of safety. At under 7 ounces, the Boone is capable of large cutting tasks while also being nimble in hand and easily packable with the included hand made leather sheath.